Paintball fun for four - complete with 100 paintballs each to get you started! Entrance to one of the UK's top paintball venues for eight people. A day's paintball for two complete with 100 paintballs. Avoid being caught by the zombies as you carry out your mission! 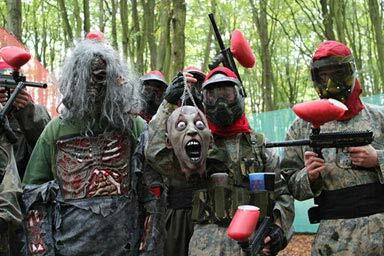 A day’s fun filled paintball for you and three friends with 100 paintballs. Double the experience, double the adrenaline!